Keep your creativity on track this month by colouring each day or reacting to the creative prompts in this calender by Uppercase magazine. On March 21 you'll see a small drawing by me. Download the calendar as a spread or by page. 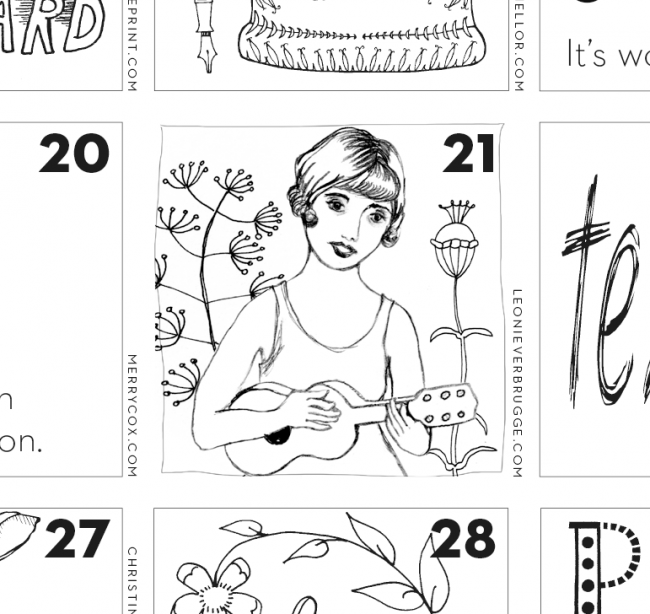 Keep your creativity on track this month by colouring each day or reacting to the creative prompts in this calendar by Uppercase magazine. On March 21 you’ll see a small drawing by me. Download the calendar as a spread or by page.